RedBus Bingo is a great site for Bingo, Casino, Instant Win, Slots and Progressive Jackpots with a London themed background and of course plenty of red buses, we at Mobile Bingo Bonuses love this site for its exciting and colourful pages. Added to this is the fact that you can play many of their games on your smart phones including Android, iPhone and Tablet devices. When you download their app they’ll give you an incredible £5 credit to try out the site and games. RedBus Bingo claim to be your first class ticket to a first class gaming experience with a huge range of games and daily cash prizes, so this is one bus you won’t want to miss! 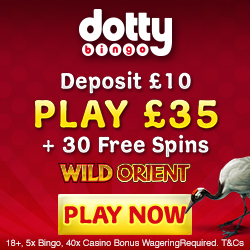 As well as an amazing site, RedBus Bingo have some great offers which begin from the point you register. When you make your 1st deposit between £5 and £100 you will receive your pass to travel through a lucky scratch card. On this scratch card you can win a cash back deposit bonus of anything up to 2000%, so if you add £100 you could end up with £2,000 to play with. They also offer Team Bingo so that you and a group of your mates can play bingo and rack up points to become the top team on the leader board and win a share of the pot of gold at the end of the race. So remember to get your friends in on the action with RedBus Bingo. Can it get any better you ask, well yes it can as RedBus Bingo offer a 50% redeposit bonus on your 2nd and every subsequent bonuses between £10 and £100. This credit is automatically credited into your account as bingo funds and can be used on their bingo rooms or pre-buy cards for special games. £50 Spend A Penny – Look after the pennies and the pounds will look after themselves! That’s certainly the case in RedBus Bingos £50 for 1p room as they’re giving you the chance to scoop 50 quid for just a penny!Everyone loves a bargain so why not grab yours daily at 9:15pm? Tickets cost 1p and there’s a guaranteed nifty £50 up for the taking every day! Pics For A Penny – Films and friends go hand in hand. So what better way to spend quality time than catching the latest Blockbuster with your buddies? And, with a penny fare you’d be bonkers to miss out! Game plays every Wednesday at 9:30pm in their £30 for 1p room and tickets cost just 1p! RedBus Bingo also have a fantastic refer a friend scheme so as well as your friends enjoying the amazing offers, you can also benefit. 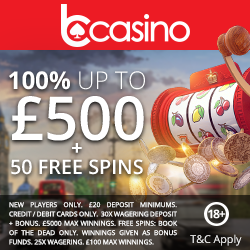 When your friend deposits and wagers a minimum of £5 you will be credited with 15,000 bonus points. The best part of this is the fact that you can refer as many friends as you like, which makes it an endless bonus! Finally, every good site has a VIP Club and RedBus Bingo have the Joy Gem Club where you’ll have the opportunity to enjoy additional promotions such as birthday bonuses and additional redeposit bonuses. So we’re sure you’re ready to register, which you can do by heading to RedBus Bingo and enjoy.